I’ve labeled this episode in the “Due Process” category. 50/50 Parenting is really about making sure that the rights of the child are protected. We could have put it into another category but this is really where it belongs. 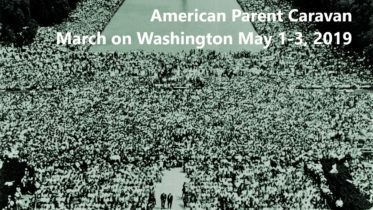 All children have a right to equal access to the parents God gave them. The question then becomes when is is appropriate for the Government to step in? I believe our Constitution would make that a very high bar. Assemblyman Erik Peterson comes on the show tonight to discuss his bill. This is a bill that would again make that a very high bar. While it is still early in the process we are praying for this to be a win for the children of divorced parents in New Jersey. Please listen to the episode below to get more information and then WRITE YOUR NJ ASSEMBLYMEN, AND NJ SENATORS AND ANYONE ELSE WHO CAN INFLUENCE THIS PROCESS. Erik discusses on the podcast the power of the handwritten letter. Below are links to find the NJ politicians serving your area. If you live outside of NJ and your state is not seeking a 50/50 shared parenting bill share this podcast with them. 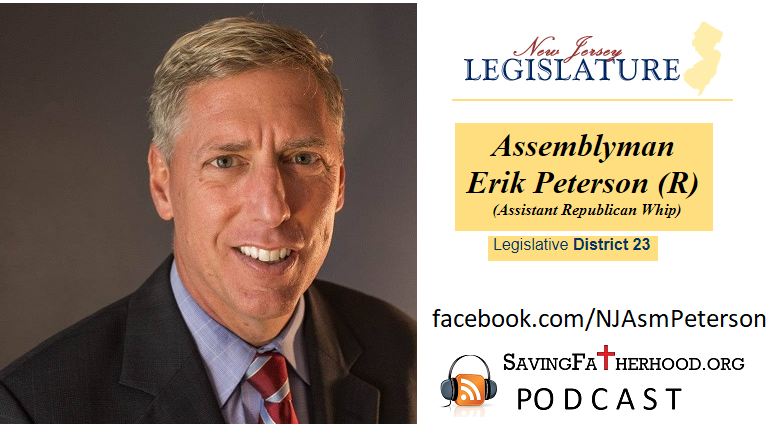 4 Comments on "07 Episode 07 – NJ State Assemblyman Erik Peterson discusses his 50/50 Parenting Bill"
Great interview Joe Gormley ! Erik was such a wonderful guest and I am glad that state representatives are starting to care for little children like Christ commanded us and is willing to support 50/50 shared parenting to help all those involved in their troubled times. His perspective of having witnessed a friend go through a divorce and all of the grave damages means a lot. Most people cannot fathom what these families and children go through. Thank God that more people like Joe and Assemblyman Erik Peterson are starting to care. Thank God that they help raise awareness so gracefully! Thanks for listening Aaron. I’m very excited about Erik’s bill. I’m looking into starting a letter writing campaign. If you heard Erik’s advice he said there’s nothing more powerful than a hand written letter to your local representative. Have you been involved in any letter writing campaigns in Illinois? Any advice would be appreciated. What is worse when the State take away the rights of the parents and place the children in foster care, all the damages that was mentioned that happen to children of divorce parents is worse with these children. More often the parent is not abusive, I could be that they do not have the financial means, I know this to be a fact because I am of this abusive system. As s community activist I now to happen to others male and female. These are God given rights that the state should not be able to take away! !